Greetings! 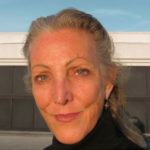 My name is DeeDee Freeman, and I have been a student of the Metaphysical Arts for nearly 25 years. As an intuitive tarot reader, I’m fascinated by the complexity of individual cause-and-effect. I love helping people make better decisions, and truly enjoy taking the time to connect with the seeker on a deep, intuitive level. Formulating the appropriate question and then selecting the best card spread is key to delivering an inspired answer! As a hypnotherapist, I feel the ability to experience altered states of consciousness is essential for personal growth and self-empowerment, and I’m devoted to helping people develop their own, intuitive, psychic abilities. When we honor our intuition for the quiet, guiding intelligence that it is, we can see all situations with clarity, and be inspired to take life-affirming action. I truly enjoy helping others learn to access the “trance” or “hypnogogic” state, the seat of our intuition/Higher Self. The “hypnogogic” state has been called many things: gnosis, path working, non-ordinary reality, the astral plane, lucid dreaming, meditation, hypnosis, etc…whatever one calls this state of consciousness, it is the doorway to our personal genius, our intuitive, higher self. Once we learn how access this state at will, the possibilities are endless! !